Weddings are getting very Pindictable. Disclaimer: I am not engaged, I am not fishing for a proposal from my boyfriend, I am not in a rush to get married. But. I am a girl. And we love weddings. At first, I felt so inspired! Look at all these great ideas! How unique! 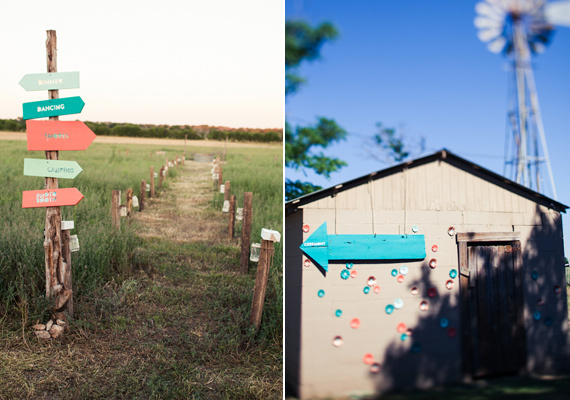 How special and memorable my wedding will be! But lately I’ve realized that these are all starting the look exactly the same. There’s almost like a formula for them. Select outdoor location with stringed white lights everywhere. Places with brick, barns, oceans, are preferred. Have some sort of new take on buffets – donuts, candy in glass jars, popcorn, ice cream sandwiches. 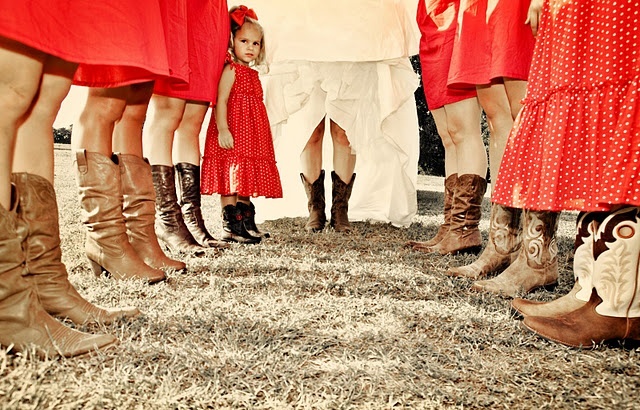 Bridesmaids MUST be in cowgirl boots. Groomsmen should wear chucks. Bride and Groom must write each other adorable letter to accompany expensive gift (jewelry for her, watch or “man cave” things for him). 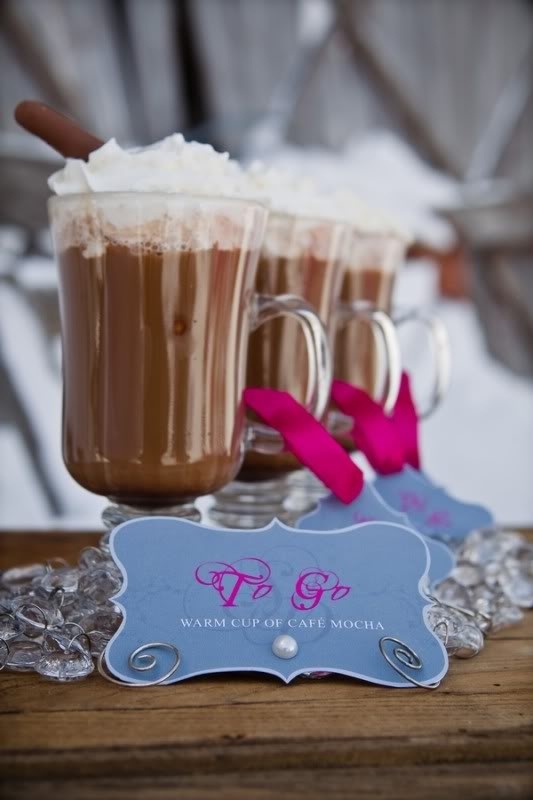 Letter to be read aloud with respective wedding party as you get ready. MASON JARS. Mason jars EVERYWHERE. everyone and the boots these days! adorbs. i’ll never drink it. too cute. Work in a fiddle, mandolin, or friends wearing hats and oversized glasses playing guitar. 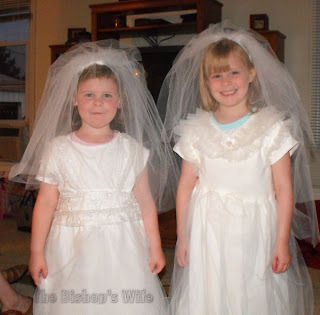 Employ as many precocious children as possible, preferably with flowers in their hair, or a sign that says “Here Comes the Bride” in their grubby little hands. Pass out favors so ridiculously adorable that no one will want to eat them. SPARKLERS OR ELSE IT WASN’T REAL. Now, I love looking at all the pictures. Pinterest is like getting a new magazine in the mail every time I open up the internet. I can’t stop looking at all the pretty. But everything gets so cute and tiny and colorful and special and unique and personal….after a couple of hours none of it looks very special at all. But I do hope that all the Wedding DIY stuff and Etsy bits will help brides on a budget plan the day of their dreams. 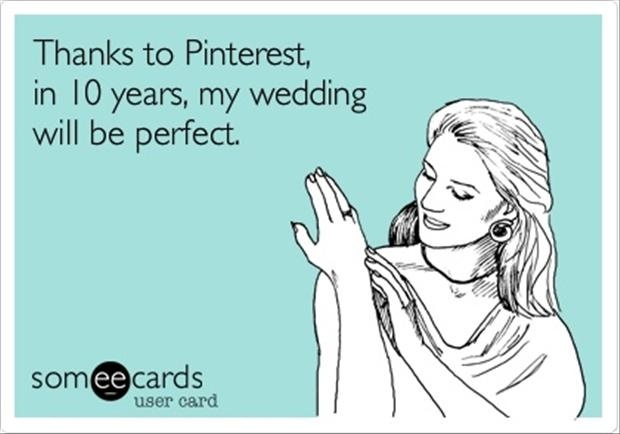 And when that day comes for me…I think I’ll just look at Pinterest and select a few solid traditional ideas to mix in with just enough personal detail to be unique but not annoying, throw it in mason jars wrapped in burlap, and get hitched in happiness forever.